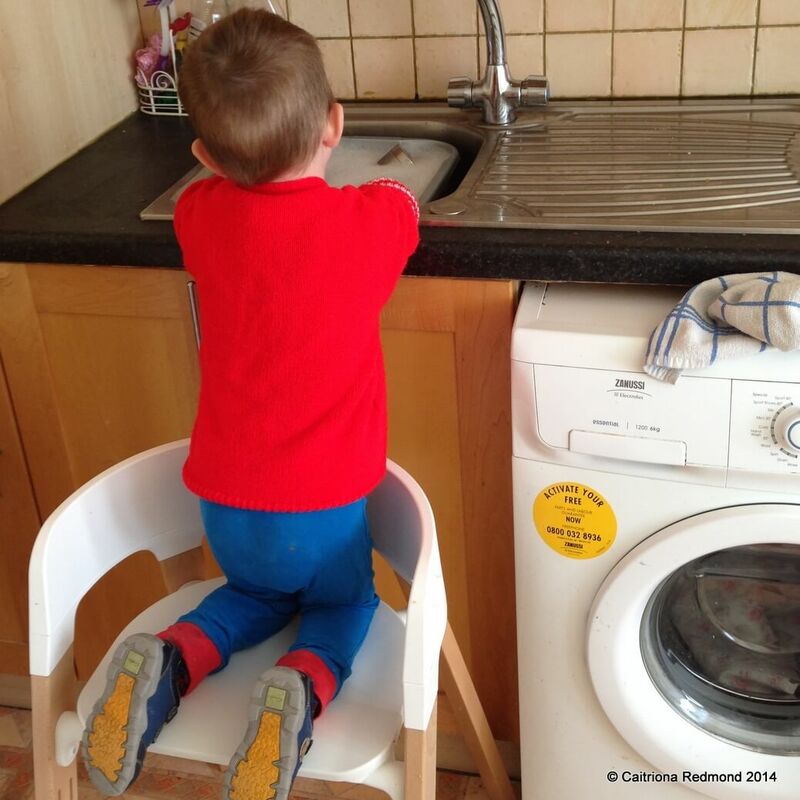 A couple of weeks ago I took delivery of a Stokke Steps Chair for a review. Here’s how I got on and what I thought of the new system. First things first. The boxes! Many, many boxes. The small boy had a field day. In fact there was enough boxes for the 5-year-old also to make up a train with a carriage behind. Once I took the equipment out of the packaging the boys happily played away while I took a look at the instructions, maybe all those boxes weren’t such a bad thing after all. Assembly took all of 20 minutes with the tools provided. Another bonus. The chair is extremely sturdy. I have used a fold up metal high-chair for both boys and it has nearly caused an injury from tipping over when collapsed more than once. There isn’t a hope that I can knock the Steps over. I snapped on the baby-seat section along with the cushioned seat cover, slid over the tray and we were ready to go. The following morning the small boy got up and happily sat in the chair for his breakfast and has contentedly sat there for every single meal since. The baby-seat part easily clips on and off so when I need to contain him at mealtimes, I click it in place and it stops him from going for a wander when we’re all sitting down together. Then when we’re working in the kitchen together, I pull it over to the counter and away we go. This, for me, is where the Steps comes into its own as the legs are angled in such a way that it simply can’t get too close to the counter-top. 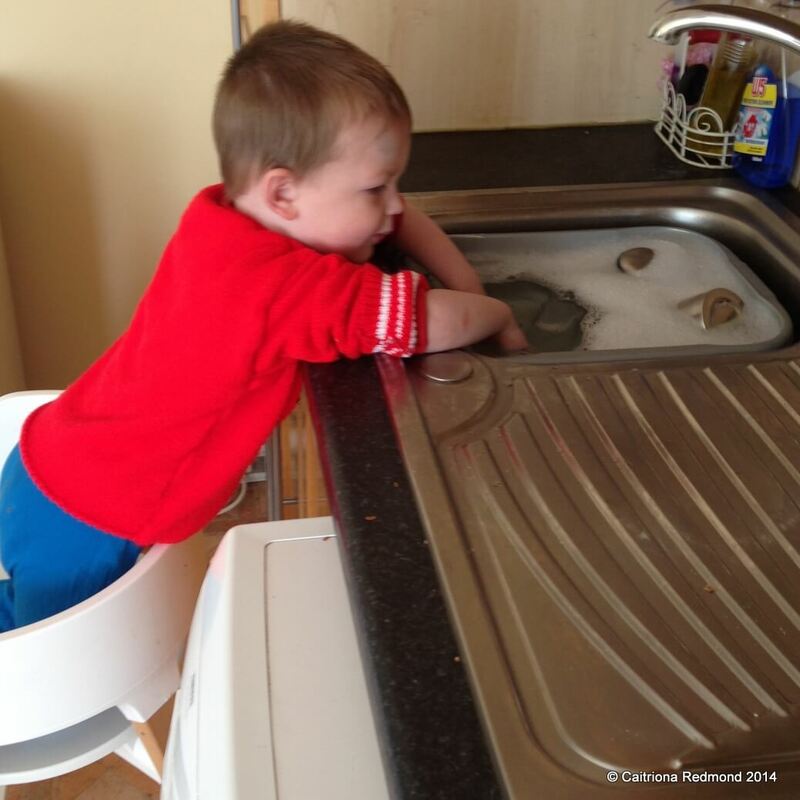 As I cook and work so much in the kitchen, if I pull up a chair beside me, the boys would be able to reach the buttons on the hob and the taps. No such fear here! The 5-year-old comfortably sits in the Steps chair himself and I also like the fact that it sits higher than a conventional dining room chair so the boys are at the right level for the table without needing to prop them up on cushions or boosters. The cloth cushion was difficult to fit over the harness on the babyseat section and I can see this is going to be a bit of a pain for me even though it is lovely and soft, it also washes easily. In fact the whole chair is so minimal, with very few areas for food or drink to get caught in, that it’s a dream to clean. No more lurking crusty bits at the bottom of the high-chair for me thank you very much. Would I recommend the Stokke Steps Chair to others? If you have the money (RRP for the base unit is €182) and want to buy a chair that will last you from baby through beyond toddlerhood then yes I would. I personally think that the Stokke Steps is expensive but as it’s not just a high-chair it’s unfair to compare it in the same category. Similar to the extremely popular Trip-Trapp chair, the Steps is an investment that will last for many, many years, beyond weaning your toddler. It can be purchased in Mothercare and Mamas & Papas as well as independent retailers nationwide. Disclosure: I received a Stokke Steps, baby seat, cushion cover and feeding tray for the purposes of this review. My opinions are my own and I am not paid to give them. *scuffs shoes, embarrassed mumble* There’s this book I wrote, you can find it on Amazon here. It is also available directly from my publishers, Mercier Press for €15 including postage.